Vince Lewis served as staff solo guitarist at the Ritz Carlton Palm Beach for three seasons prior to moving to Virginia. Also featured solo guitarist for the Explorer's Club in the PGA National Resort in Palm Beach Gardens Fla. Played many solo guitar engagements at the Greenbrier Hotel in West Virginia, The Breakers Hotel in Palm Beach FLA, and many private parties in Palm Beach, Virginia, and West Virginia. Vince Lewis is a veteran jazz performer, composer and recording artist. He has appeared with countless major entertainers and jazz musicians. Since actively pursuing a solo career he has achieved national acclaim and airplay, as well as outstanding critical reviews in every major jazz publication. A skilled solo and group leader of Society Music, Vince was a touring member of the Marshall Grant / Peter Duchin Orchestra. His other society work included the Lester Lanin Orchestra and the Mike Carney Orchestra. In Palm Beach, FLA Vince provided regular music for the Royal Poinciana Club, The Beach Club, and performed steady engagements at Brazillian Court, The Breakers, The Colony Hotel and Ta-Boo' on Worth Avenue. Vince was staff guitarist in the La Coquille Club of the Palm Beach Ritz-Carlton for three seasons, and solo guitarist in the Explorer's Club of the P.G.A. Sheraton in North Palm Beach. Vince was also a popular solo performer at the Greenbrier Resort in W.V. for many years. 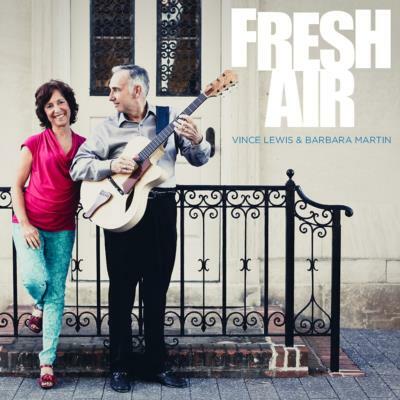 Vince also collaborates with singer / songwriter / guitarist Barbara Martin to provide entertainment in combinations from a duo to a larger group. Today Barbara is best known not only for being an accomplished vocal interpreter of the great jazz and blues standards; but also for her ability to stretch the boundaries of the female jazz and blues singer image. She writes award-winning songs. She plays guitar. She collaborates with other acclaimed artists to produce engaging live shows and music education programs. She's as comfortable in a New York cabaret show or a major venue like The Kennedy Center as she is in an intimate house concert or a bohemian cafe. Barbara's expertise and talent place her squarely in the company of the legends she teaches about in her educational series "Women of Blues and Jazz,” but it's her ability to transition smoothly from chanteuse to girl-next-door to perceptive poet that makes her so delightfully her own woman. Vince has co-headlined and performed at jazz festivals with artists such as Ed Shaughnessy, Joe Wilder, Mundell Lowe, Joe Byrd and Derek Smith. He has also been a headliner on festivals and concerts with Dave Brubeck, B.B King, Ellis Marsalis, Lou Rawls, John Pizzarelli and Melissa Manchester. Vince has also appeared in 2003 and 2006 in concert at the Smithsonian Institute in Washington D.C. and at the Kennedy Center with Steve Abshire in February of 2007. He headlined a festival in January of 2007 along with Mundell Lowe, David Sanborn, David Samuels and Dianne Schuur. January of 2009 saw Vince featured on a jazz festival with Kevin Mahogany, Al Jarreau, and Cyrus Chestnut. Maddy Winer has enthralled audiences for three decades with her inimitable, recognizable voice. At the age of 3 she appeared at the Winter Garden Theatre in New York City. Once she experienced the thrill of the stage it became her lifelong passion. Maddy has headlined concerts at Lincoln Center in New York City, the Fountainbleau Hotel in Miami Beach, appeared with the St. Louis Symphony, the Saint Lawrence Centre For The Arts in Toronto, and countless venues in between. Her opening act performances include Dave Brubeck, Lou Rawls, David Sanborn, Joe Sample and the Crusaders, George Shearing, Al Jarreau, and Ellis Marsalis. 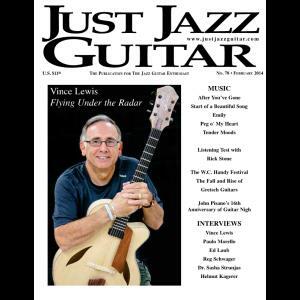 Vince has been honored each year since since 2006 by being recognized in the Jazz Guitar category as one of the “Leading Active Jazz Artists” by Jazz Inside Magazine. Luthier Richard Ralston of Upper Hutt New Zealand also recognized his ability by creating the “Ralston 16 inch Vince Lewis Signature Model Jazz Guitar.” Vince also is a Heritage Guitar Inc Performing artist and a Benedetto Guitar Artist. In May of 2011 Vince was presented the 2011 Gregory Loebach Award for Support of Education. This award is given to selected individuals who have made outstanding contributions to Education and community service. 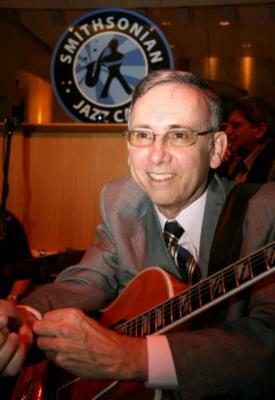 Vince is a contributing writer and consultant to Just Jazz Guitar magazine and www.Guitarinternational.com. Please note Vince Lewis will also travel to Sweet Briar, Clifford, Monroe, Madison Heights, Piney River, Arrington, Lynchburg, Gladstone, Concord, Coleman Falls, Norwood, Spout Spring, Wingina, Big Island, Lovingston, Montebello, Shipman, Vesuvius, Buena Vista, Forest, Rustburg, Appomattox, Glasgow, Nellysford, Evergreen, Evington, Goode, Buckingham, Natural Bridge Station, Roseland.